Bamboo - natural, gorgeous and resilient. Bamboo flooring is classic, warm and visually appealing, sharing many of the visual features of a hardwood floor but generally at less cost. As a consumer, be warned though, that the price of bamboo flooring can vary dramatically, dependent on the quality, origin of the bamboo and the retailer you choose. You really do need to be careful, and ensure you're buying a product that was designed specifically for our harsh Queensland climate. 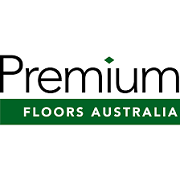 That's why Kawana Flooring Warehouse, family owned, fully independent and not bound by buying group fees are the flooring specialists to consult. If you are looking for an eco-friendly, green flooring option for your home, office or commercial space, then bamboo is the natural choice for you. Bamboo is harder than timber making it less prone to dents! If you are looking for commercial flooring for your office or retail space, you know that you will be dealing with high traffic areas that will require easy maintenance, durability and cost effectiveness. Bamboo is harder than many hardwood flooring options and may suit your commercial application. Strandwoven bamboo flooring has a lovely natural look with the advantage that it can be refinished and would be suitable for medium traffic areas. If you are keen to keep your commercial space, domestic home or renovation home environmentally friendly, think about bamboo. It is an ecologically sustainable product that grows quickly, without the need for chemicals, pesticides or vast amount of water. Bamboo can yield twenty times more timber than trees across the same land area. Bamboo flooring is stronger and denser than many hardwoods and is almost totally termite safe. As such a highly renewable product, bamboo is ecologically friendly and the perfect green option for the discerning homeowner. Prices for bamboo flooring vary according to the thickness and quality of the flooring. We have all heard the saying "you get what you pay for", nothing could be more accurate when talking about bamboo flooring. If you buy the cheapest bamboo you can find - expect trouble down the line. If you buy a reputable product with our help and advice, you can expect smooth sailing. Because we are not bound by franchise or conglomerate dictates, Kawana Flooring Warehouse are able to offer a huge flooring range ate prices to suit all budgets. So whatever your flooring choices or ideals, be they eco-friendly, commercially applicable or suitable for a growing household, Kawana Flooring Warehouse is your one stop port of call on the Sunshine Coast and in Brisbane for all of your flooring needs.